The Indian Android product company Amtrak Info System Pvt. Ltd. (AISPL), has recently unveiled education tablets for the state of Rajasthan. The My Class Buddy A700 E is being offered for Rs. 6,299 (play-mate worth Rs. 899 included) and will be available via leading stationary shops and electronics stores in Rajasthan. 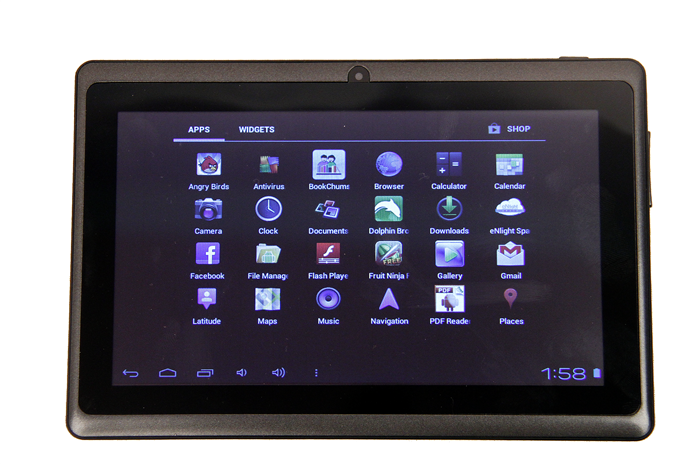 My Class Buddy-A 700 E comes with Android 4.0 (ICS) and is powered by a Cortex-A8 1.0 Ghz Single Core Processor, which is supported by 512 MB of RAM. The display is an 800 X 400, 7″ Capacitive Multi Touch with a DPI of 160. Graphics will be handled by a capable Mali 400. The device has an internal user accessible memory of 4 GB that can be expanded upto 32 GB via microSD.